We are honored that over 30 customers and organizations have recognized us for our innovation, business practices and people. Below is a complete list of the awards and recognition Abacus Technology has received since we were a small company of a few to now a company of many. Abacus is honored to receive an Energy Information Administration (EIA) Recognition Coin for its work on the Densified Biomass Fuel Report. The report, a new EIA survey launched in January 2016, gathers information on wood pellet and other densified biomass fuel production, sales, and inventory levels from pellet fuel manufacturing facilities throughout the United States. 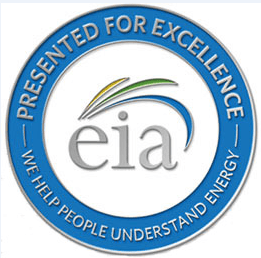 The EIA Recognition Coin is awarded to recognize outstanding performance and unique achievements that contribute to the mission and effectiveness of EIA. Abacus received two Omni awards for documentaries it produced for NASA Kennedy Space Center (KSC). The Omni Awards recognize outstanding achievements worldwide in art and technology as expressed through film, web, and mobile media. Abacus won a Silver Omni for Hangar S, a documentary on Cape Canaveral’s historic hangar that was crucial to NASA’s early human spaceflights. 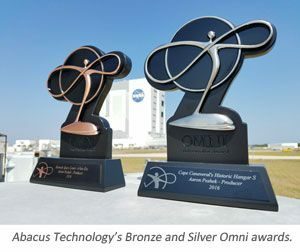 Abacus also won a Bronze Omni for Kennedy Space Center: A New Era which documents the KSC transition to a multi-user spaceport capable of handling the needs of both the government and commercial space exploration ambitions. Abacus Technology is honored to be named again by NASA’s Kennedy Space Center (KSC) as its Small Business Prime Contractor of the Year for 2016. This is the fourth time Abacus has received this award since it began supporting KSC in 2008. Abacus serves as the Center’s Information Management and Communications Support contractor. For this 2016 award, Abacus received special recognition for its ‘excellent’ service performance rating and for its contract reformation work which implemented new contracting and service delivery approaches that significantly reduced costs to NASA. 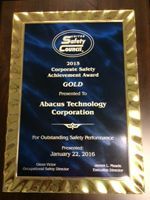 Representative of the outstanding work performed by the entire Abacus team, in January 2016 Abacus received the Gold Corporate Safety Award from the United Safety Council (USC) for the Abacus Safety Program – for the third time. Abacus was graded in the following areas: Safety Committees, Inspection Program, Safety & Health Program, Management Involvement, Employee Involvement and Mishap Investigations. Abacus competed against companies with up to 2,000 employees to win the Gold Award. 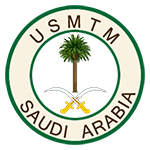 Abacus Technology is honored to receive a Certificate of Achievement for our engineering support provided to the U.S. Military Training Mission in Riyadh, Saudi Arabia. Abacus was commended for successfully migrating operations from Air Force Network to an Army Network while exceeding service level agreements and keeping within budget. During this major transition, the expanded user community was able to continue operations normally without interruption of service. Abacus Technology is honored to receive the Corporate Safety Award from the United Safety Council (USC) for the second year. The award is based on the quality of the Information Management and Communications Support (IMCS) safety program at Kennedy Space Center. Abacus was graded in the following areas: Safety Committees, Inspection Program, Written Safety & Health Program, Management Involvement, Employee Involvement, and Mishap Investigation Programs. Abacus/IMCS competed against companies with up to 2000 employees. There were three levels of awards given, Gold, Silver and Bronze. Abacus received the highest award, Gold, for companies with 501-2000 employees. Receiving this award represents the outstanding work performed by our entire IMCS Abacus team. 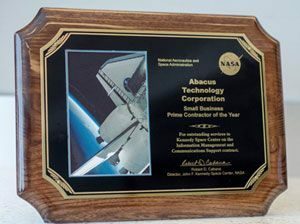 Abacus Technology is proud to again be named by NASA’s Kennedy Space Center as its Small Business Prime Contractor of the Year. Abacus serves as the Center’s Information Management and Communications Support contractor. NASA’s Small Business Prime Contractor of the Year award recipient is selected based on the company’s performance by operating on schedule and within cost, exhibiting responsiveness to contractual requirements, and providing innovative solutions to problems and issues. Abacus has achieved a five-year contract underrun that translates into a multi-million dollar savings for KSC customers. Abacus Technology’s Best Practice Safety Program at NASA’s Kennedy Space Center is recognized by the United Safety Council with its Gold Award for Corporate Safety. Abacus serves as the Center’s Information Management and Communications Support contractor. 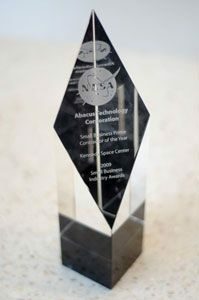 Abacus Technology is pleased to again receive NASA Kennedy Space Center’s Small Business Prime Contractor of the Year Award. This achievement recognizes high performance on KSC contracts, responsiveness to customer requirements, and innovative practices by small business participants on initiatives undertaken by NASA. 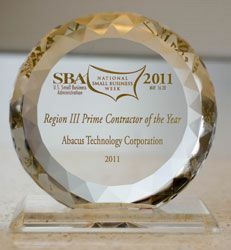 Abacus Technology is proud to be presented with this 2011 Administrator’s Award for Excellence by the U.S. Small Business Administration. The award is given in recognition of outstanding contribution and service to the nation by a small business in satisfying the needs of the Federal procurement system. Abacus Technology receives a Certificate of Appreciation for its support of the GSA Alliant GWAC Program. Abacus Technology’s Kirtland C4 Team receives the first-ever Sustainment and Integration Center (STIC) Award! The C4 Team is recognized for their efforts in the design and implementation of the modernized worldwide logistics operations center. The STIC is responsible for overseeing, synchronizing, and integrating all nuclear mission areas as well as ensuring safe, secure, and reliable nuclear weapons systems to support the national command structure and combatant commands. Our C4 Team developed technical solutions that allowed the Center to have premier voice, data, and network capabilities to support this mission. Abacus Technology is proud to receive Kennedy Space Center’s (KSC) Environmental Team Award for implementation of the successful Kennedy Data Center Energy Conservation Initiative. KSC’s Environmental Awards and Recognition Programs celebrate environmental and sustainability accomplishments of individuals and teams comprised of both civil servants and KSC’s contract partners. Abacus’ efforts saved KSC millions of dollars in equipment replacement costs through server consolidation. Abacus Technology’s commitment to safety is recognized by Kennedy Space Center awarding the firm with its Executive Safety Forum Contractor of the Year. Abacus performed thousands of hours of service with no injuries or lost time. Abacus Technology is proud to be named Kennedy Space Center’s small business prime contractor of the year. NASA presents its Office of Small Business Programs’ Small Business Industry Awards annually to contractors who make significant contributions to the agency’s small-business program. The awards recognize successful and innovative practices that promote participation in NASA’s small-business initiatives. Abacus Technology is awarded the IRS Office of Competitive Sourcing’s Director Award for the successful completion of an important IRS change initiative that reached long-term goals, reduced costs, and improved efficiencies. Abacus Technology is recognized by the U.S. Small Business Administration for its outstanding service contributions in Facility Operations at NASA’s Stennis Space Center, Mississippi. Abacus Technology is proud to be presented the GSA Millennia Lite Circle of Excellence Award for its highly successful program management and partnership with the GSA Information Technology Government-wide Acquisition Contract (GWAC) Center. 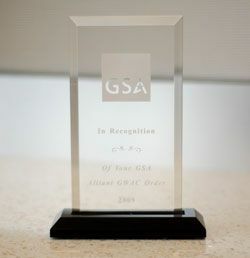 The Circle of Excellence Award honors GSA Millennia Lite contractors that receive high ratings on the annual Contractor Performance Evaluations. 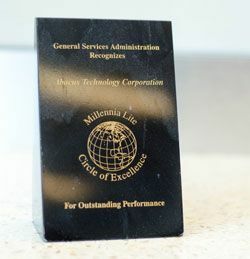 This award acknowledges Abacus Technology’s outstanding performance, quality, and execution of Task Orders as well as total customer satisfaction by both GSA and individual client agencies under Millennia Lite. The Millennia Lite Circle of Excellence award marks another milestone in Abacus Technology’s history of providing exceptional services and solutions and exceeding our customer’s expectations. In recognition of our outstanding consulting partnership with the IRS, Abacus Technology earns the IRS’s Large Business Partner of the Year. Abacus Technology is honored to receive recognition from the U.S. Coast Guard for exceptional and meritorious service in performing the network transition from Packet Switched Services to Frame Network Relay protocol at 93 sites nationwide. This Differential Global Positioning System transition was completed two months ahead of schedule and under budget. Abacus Technology is nominated as NASA’s Minority Contractor of the Year. The honor recognizes exceptional small business achievements in support of space exploration. The Abacus Technology-Offutt Air Force Base A-76 Team is awarded the 2002 Presidential Quality Award for Excellence in the area of competitive sourcing. We are the only A-76 consultant within industry to share such a prestigious award with our government partners. Abacus Technology is honored to receive a Certificate of Appreciation from the National Committee for Employer Support of the Guard and Reserve (ESGR) organization. This award recognizes our outstanding service to the Nation’s defense through our continued support of service members in the Guard and Reserve. Southern California Edison recognizes Abacus Technology for excellent support in transitioning its Nuclear Information Services Division to a Software Engineering Institute Level 2 Certification. Abacus Technology is proud to receive President Clinton’s President’s Council Medal for our critical work with the US Department of State to complete Y2K testing and certification of their mission-critical systems. Abacus Technology is proud to receive the Nunn-Perry Award from the US Department of Defense (DoD). The DoD Mentor-Protégé Program assists small businesses (protégés) successfully compete for prime contract awards by partnering with large companies (mentors) under individual, project-based agreements. Abacus Technology’s President/Owner, Dennis Yee, is honored as the Entrepreneur of the Year for Minority-Owned businesses. The selection and presentation was made by Ernst & Young and the Entrepreneur of the Year Institute. Abacus Technology is ranked #422 in Inc. Magazine’s annual ranking of the fastest growing small business nationwide. Abacus Technology was ranked as one of Washington Technology magazine’s Fast 50. The magazine ranks the fastest growing small businesses in the government contracting market, based on their compound annual growth rate from 1990 through 1994. Abacus Technology is pleased to receive the U.S. Air Force Materiel Command’s Defense Information Initiative Award for outstanding local and wide area network management support. Abacus Technology is ranked #473 in Inc. Magazine’s annual ranking of the fastest growing small business nationwide. Abacus Technology was ranked as one of Washington Technology magazine’s Fast 50. The magazine ranks the fastest growing small businesses in the government contracting market, based on their compound annual growth rate from 1989 through 1993. Abacus Technology is ranked #389 in Inc. Magazine’s annual ranking of the fastest growing small business nationwide. Abacus Technology is ranked #68 in Inc. Magazine’s annual ranking of the fastest growing small business nationwide. Abacus Technology is profiled in 1992 on CBS television affiliate station WUSA’s “Success Stories” segment. Abacus Technology was ranked as one of Washington Technology magazine’s Fast 50. The magazine ranks the fastest growing small businesses in the government contracting market, based on their compound annual growth rate from 1988 through 1991. Abacus Technology is pleased to receive U.S. General Services Administration’s Award for Excellence. The award recognizes our efforts in preparing a Congressional Report on the technical and economic feasibility of a government-wide transportation management information systems. Abacus Technology is proud to receive the U.S. Department of Agriculture’s Minority Contractor of the Year Award for exemplary business process analysis and information management support.